Celebrate The Season In Luxury – For Much Less Than You Might Think! At this time of year, Denver is festooned with holiday lights and decorations. It’s a delight for young and old alike. Wouldn’t it be nice to explore them all in warmth, comfort and luxury? Our Christmas light tours can really help you get into the mood for the season – you’ll see the beautiful lights and landmarks of Denver, enjoy drinks and great company. 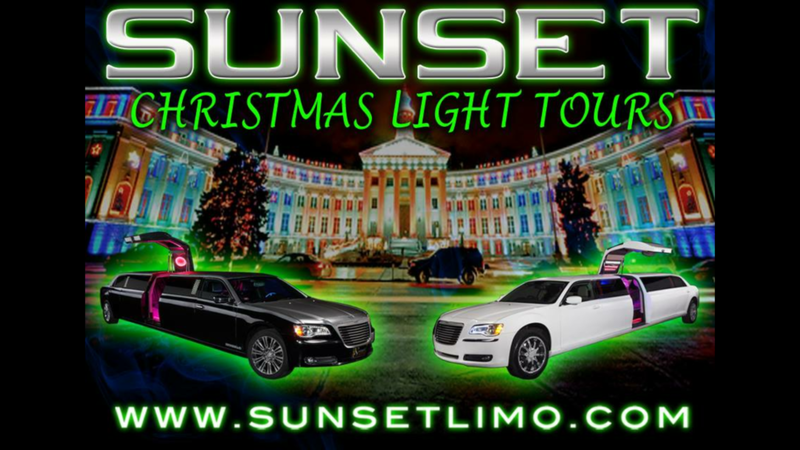 Whether professional or personal, Sunset’s Christmas light tours are guaranteed to impress! NEW FOR 2018 – We can now offer tours for up to 50 passengers! To reserve YOUR holiday treat, please fill in the form and we’ll get back to you straight away. Looking for another great holiday activity? Try “A Hudson Christmas” at Hudson Gardens. See the details here.